Book about Bhuwan published by his students and family, including reflections by Brewster Smith and John Dizikes. 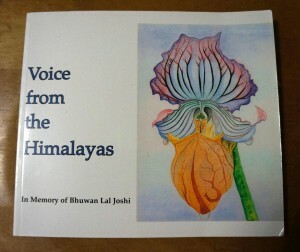 Bhuwan Lal Joshi developed a profound analysis of the stark realities of the modern world and its malaise, which he worked to counter by a reconstruction of thought, with human dignity and greatness as nonnegotiable core values. As his ideas developed from historical, philosophical, and psychological study, he chose to articulate them as teacher to an increasing number of dedicated, intelligent, and hardworking students. He had nothing in him of a cult figure. His vision of a teacher had traditional sources from the East and West, but his mind was absolutely his own. Both his students and his colleagues, not a real distinction, journeyed with him, because he had the capacity to express ideas as unavoidable truths. Those who had the privilege to know him invariably felt an urgency about giving practical effect to his ideas. He had a tough-minded vision of education that transcended any egotism, or any disposition to treat ideas as his own possession or discovery. Bhuwan Joshi was born in Kathmandu, Nepal on June 15, 1930. As a boy, he studied economics and mathematics at Kathmandu. 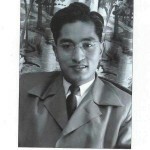 His interest in education was shown early, when, at the age of fourteen, he helped organize the first private school in Nepal as a coeducational high school. He continued his studies in Nepal, and then in India, where he took his B.A. with distinction in economics, mathematics, and English literature at the University of Patna. Now twenty, he founded a boarding high school in Kathmandu. He took his M.A. Ed. degree at the University of Delhi and was awarded “best student” certificate in 1954. He was appointed instructor at the National Teacher Training Center in Kathmandu and then left to study at the University of Oregon (M.A. 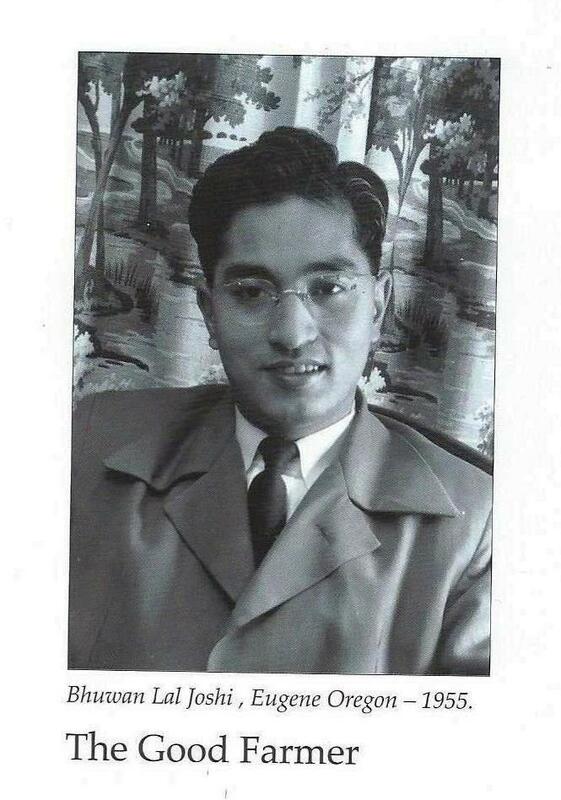 1956), where he was among the first group of Nepali students to come to the United States. A further period of educational work in Nepal followed, after which he was admitted to the psychology department at UC Berkeley for graduate work. He took his doctorate in 1964, and began teaching at Berkeley. He was in the first group of faculty when the campus at Santa Cruz began in 1965. He became Associate Professor in 1967. At Santa Cruz, Bhuwan Joshi played an important role from the beginning. 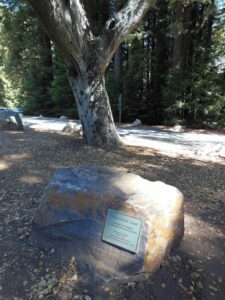 He served as chairman of the Cowell College Faculty, and in his quiet way he was a unique presence in the College. An important book (with Leo E. Rose, Democratic Innovations in Nepal: A Case Study of Political Acculturation, 1966) came out soon after his arrival, and there were other studies in the psychological analysis of political ideology and class perceptions. In his last years, he was engaged in a major restatement of his scholarly interests. He developed a critical appraisal of Western psychological and social thought, which he was able to put forth in a manner that–if it did not find acceptance from his colleagues in his own discipline–was treated with great respect, and its importance was generally admitted. His force as a thinker and as a person was expressed in his project for relearning the alphabet of psychology by purifying it from the madness of systematic manipulation. He proposed a perspective that could regard the constituents of psychology, and ultimately humans, as unique, nonrecurring, and therefore nonstatistical. This accorded with his deep appreciation for the arts, his vision of necessary restraints in both occidental and oriental culture, and his persistent encouragement toward his friends and students to undertake lives of creative endeavor. Bhuwan Lal Joshi suffered a heart attack in his office, where he was preparing for a class, on October 17, 1977. He is survived by his widow, Sushila Devi (Shrestha) Joshi, and three remarkable children, Ashok Lal, Sushil Lal, and Uma Haimavati Joshi. Sushila, an exceptional person in her own right (M.A. in English literature, Mills College), has her great loss shared and understood by many friends who much wanted and needed Bhuwan Lal to have his full time. 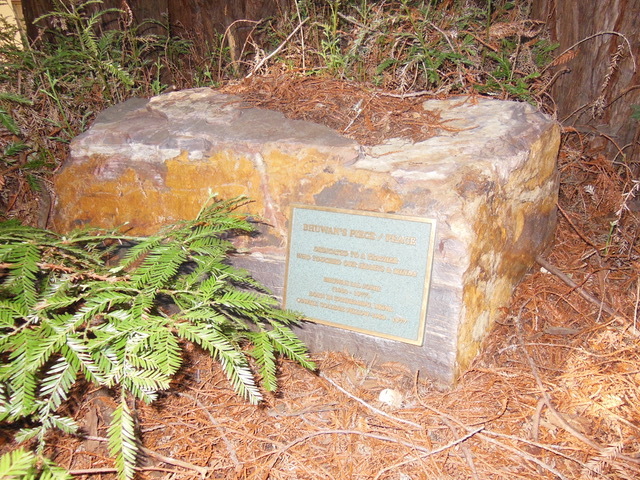 I recently found out that a bronze memorial plaque named “Bhuwan’s Peace” had been set in a rock near the front entrance to Cowell College. 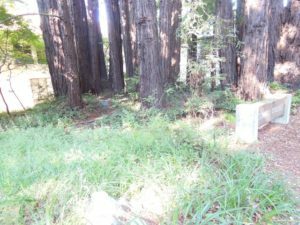 It is under some small redwoods and is not noticed unless someone knows it is there. I also found out that Bhuwan’s widow, Sushila, was not happy with the location. When I found this out, I informed the current Cowell Provost, Alan Christy, that I knew exactly where it should be. 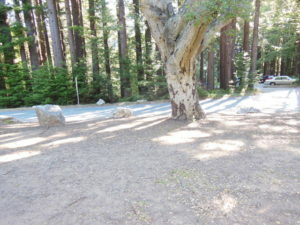 So we took a walk and he understood that a placement next to the great oak on the upper lawn would be the proper place because that is where Bhuwan liked to teach his class. 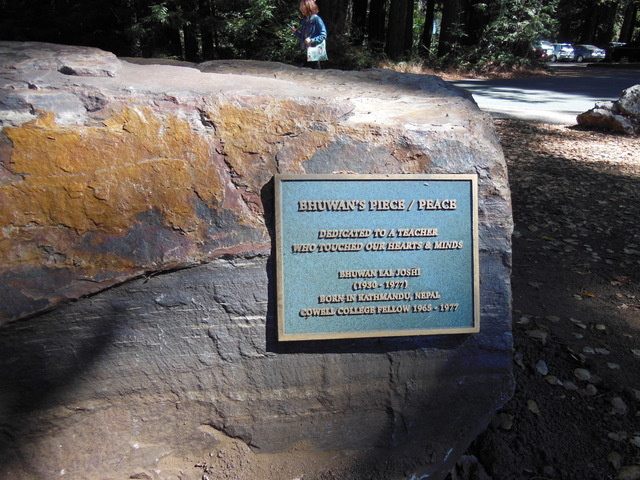 “Bhuwan’s Peace”, the rock at its current location. Photo courtesy of Angie Christman, Cowell College Activities. The Great Oak at the Upper Lawn, Cowell College. Bhuwan would sit below the tree with students circling in a ring. The current location (June 2018) — you can hardly see it tucked in the trees, upper left. More pictures to come when the rock is moved! 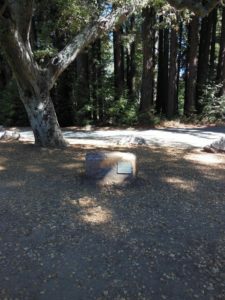 These two pictures show the location by the oak tree on the Upper Lawn of Cowell College (Photos courtesy of Angie Christman). The current plan is to have a dedication ceremony on Alumni Weekend 2019.